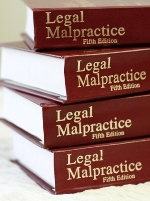 This is the first in a series of posts that will analyze various aspects of legal malpractice coverage. Today, we’ll examine how a firm’s legal malpractice insurance policy limits are af-fected by claim expenses, if it’s sued for malpractice. Defense costs, a/k/a/ legal fees and costs, are the most common type of claim expense. Other examples are interest on judgments, the cost of appeal bonds, etc. “Claim Expenses Inside the Limit” (COIL) means defense costs are deducted from the limit, leaving that much less for indemnity costs. A policy with this provision is known as an “eroding limits” policy. This is the narrowest coverage, and is standard in most legal malpractice policies. “Claim Expenses Outside the Limit” (CEOL) means defense costs aren’t deducted from the limit, so the entire per claim limit is available for indemnity costs, and there is no limit on defense costs. This is the broadest coverage. A firm whose coverage is ‘COIL’, could have its entire per claim limit wiped out by claim expenses, leaving it to fund any additional claim expenses and any settlement or judg-ment out-of-pocket. It thus needs to buy a higher policy limit than a firm whose policy has CEOL coverage. However, while a higher policy limit may offset a COIL policy’s “eroding limits”, it carries a higher premium. Why doesn’t every firm avoid this by buying a CEOL policy? Because it often can’t: mal-practice insurers are reluctant to offer a policy without eroding limits, since it has no limit on defense costs, which exposes insurers to potentially millions of dollars in such costs. Most policies have CEIL. A law firm can request a policy with CEOL, but the insurer may not provide it, and if it does, it will raise the premium, perhaps beyond the firm’s budget. A few insurers offer a modified version of CEOL, i.e., a policy with a separate limit for defense costs. Example: if a firm buys a policy with a $500K/$1M limit, it may receive a separate $500K limit for defense costs, leaving its entire per claim limit of $500K avail-able to pay any judgment or settlement. If defense costs exceed $500K, the separate limit will be used up, and any further defense costs will be paid out of the per claim limit; however, few claims incur over $500K in defense costs. Modified CEOL is less expen-sive than full CEOL, but isn’t widely available.